Guinea hogs historically were large and square bodied with bristly red hair. They also had long tails and pointed ears, but today they are smaller with often black hair. They grow to a height of 21-24 inches and weigh 150-300 lbs. They have an advanced sense of taste and can quickly identify objects by tasting them. They are quick learners and have a substantial memory. Guinea hogs today are found on farms, but they can survive in deserts and mountainous areas as well. 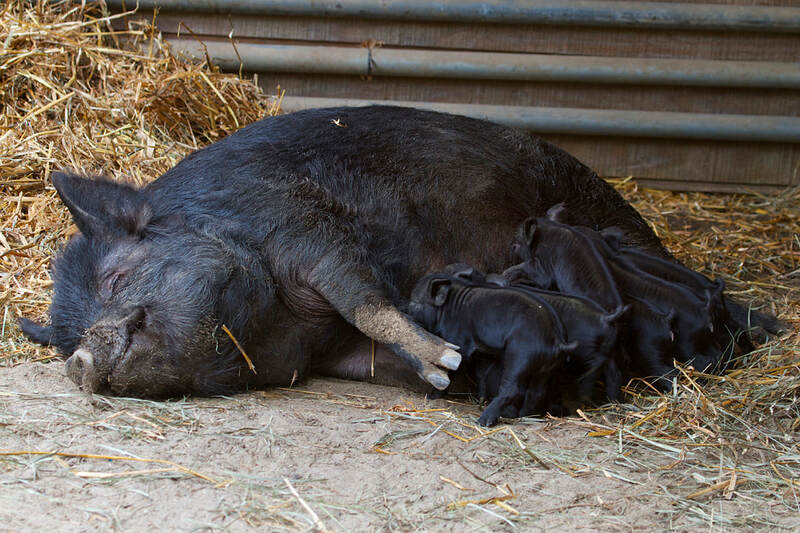 Originally from West Africa, Guinea hogs were brought to farms throughout Africa, Europe and the United States. They are hardy grazers and foragers, eating shrubs, weeds, bird eggs, snakes, mice, grasshoppers, roots, tubers and even manure. Not well known for this species, but the average lifespan for domestic pigs is about 10 years. Guinea hogs are very gentle and easy to take care of. 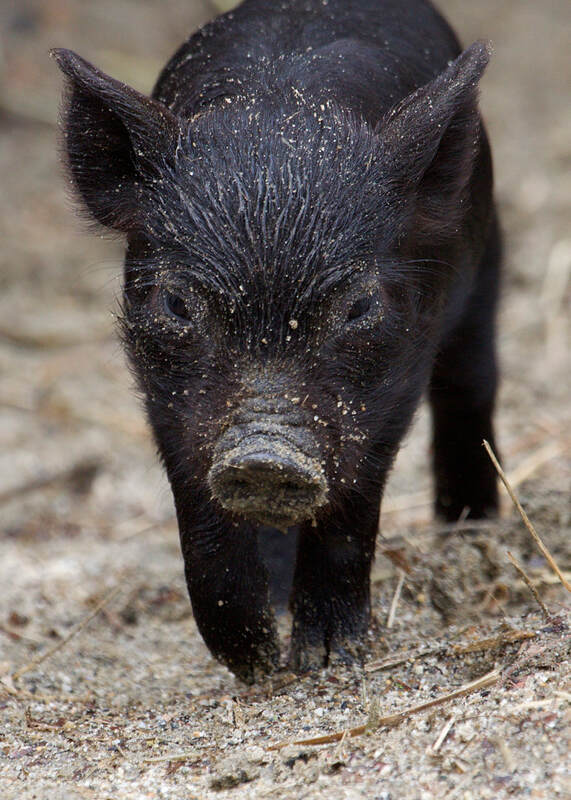 They can be found in sounders (herds) of up to 100 pigs, but a typical size of a sounder is about 20 pigs. Guinea hogs are classified as critical by the American Livestock Breeds Conservancy. Guinea hogs are also known as Pineywoods Guinea, Acorn eater, Guinea Forest hog, and Yard pig. 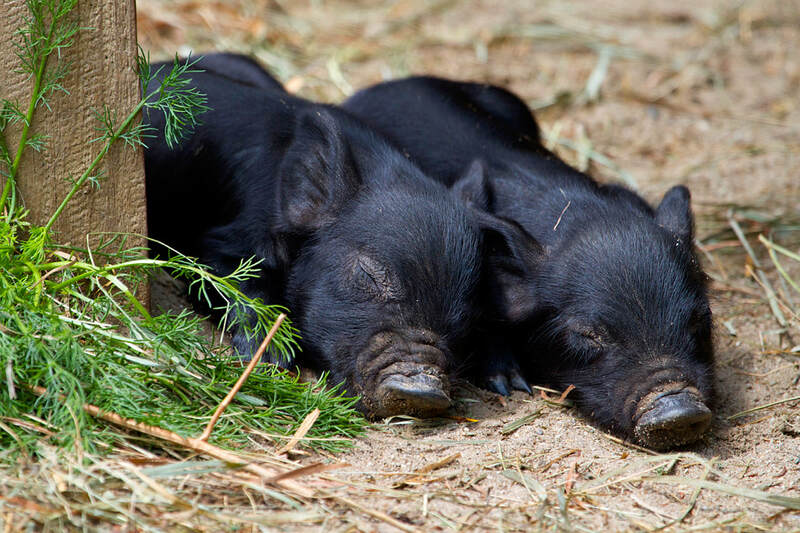 Connecticut’s Beardsley Zoo recently began exhibiting guinea hogs in the New England Farmyard. The one male and two female guinea hogs came from Sedgwick County Zoo in Wichita and Virginia Zoo (respectively).